Nowadays it is essential for enterprises to stay on the top of patches. Manual methods to use patches in endpoints are quite challenging because they comprise of factors like IT budgets, time, and staffing. CloudCodes shares its endpoint protection practices for assisting administrators in difficult situations and, to help them in achieving prevention against cyber attacks. With the emergence of new ideas or technologies, attackers are getting new techniques to sneak past your cloud data security defenses and make for havoc on business network. Intruders often make use of vulnerabilities in the form of the primary attack vector, sending unpatched apps and operating systems to gain access to the targeted machine. There are several operating systems and software providers who are constantly rendering patches timely, and hotfixes as a method for keeping their customer’s data intact. 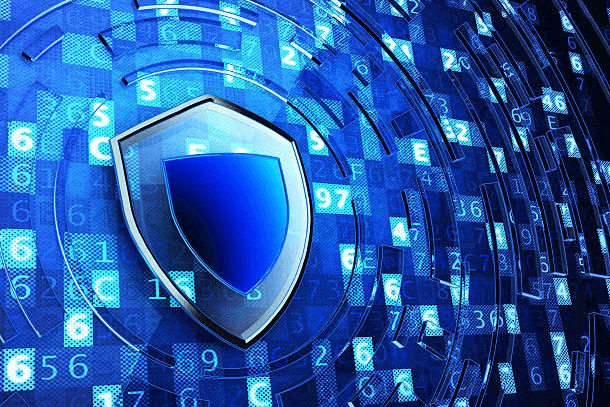 It is the major responsibility of organizations to keep themselves at the top of these patches in order to be safe from endpoint protection threats. Therefore here comes the list of best measures to take out admins from different hurdles at the time of securing online data. These measures are going to help them in staying vigilant against Cyberthreats. It is essential to brush up knowledge regarding endpoint protection in the business. This will be useful for users to clear their concepts when they are reading practices to secure data from endpoint devices. There is variation in the definition of endpoint data protection because it is dependent on the place where it is in use. Here, we are going to review the definition of Endpoint protection on the basis of IT industries! Automate Patch Management Process – Core vulnerabilities could open up different unknown gates for malware attacks to enter. Important data in an IT industry like financial records, customers personal details, software coding, etc., need to be protected from hackers even when employees are accessing them from external network. Therefore, it is strongly recommended to business authorities to make use of automated patch software. It will help in protecting secretive information without manual intervention. Make Use of Multi-factor Authentication – Even though you are using a strong password for security purpose still, you have to now begin with the use of MFA. This method for endpoint protection appends an extra layer of authentication. In case, the MFA is enabled and an intruder gets the account email address and password then, it will be difficult for hacker to gain access on your profile. It is so because a secretive verification code is demanded when multi-factor authentication is activated in one’s profile. Rely on Trusted Third-party Patches – IT organizational management system often prioritizes patching of Microsoft and Apple apps over 3rd party apps. But, doing the same results in the creation of blind spot in your premises. Therefore, keep one thing in mind that your patch management program is having capability to patch an exhaustive third party apps list. This will timely give you a notification on any security update for core apps accessed in your company. Adopt a Cloud-based Infrastructure – Deployments are rapid as well as lightweight in online infrastructure. One can use on-demand computation and an enhanced storage capacity in the cloud platform. This is the major reason due to which enterprises prefer migrating from on-premises approaches to online environment for dealing with their overall workloads. But, doing so also gives birth to cloud computing security challenges! Hence, it is essential to be known that a third-party is appointed for taking care of your storage platform and computation resources availability. Prepare An Incidence Response Plan – This is the most important measure of endpoint protection that comprises of creation of an incidence response strategy. A particular group must be having known from incident or emergency response team manager, threat investigation team, and cybersecurity experts. All these entities will play their major role at the time of taking remedial measures, after the occurrence of cloud security leakage or at the time of vulnerability detection. Periodically Train Office Employees – It is the role of business higher authorities to train their office employees with cloud security policies in their enterprise. In fact, they should try to conduct a monthly session for the same because most of the times, officials forget those policies. It happens because officials are already loaded with their regular business activities and hence, it is difficult for them to remember these security aspects. Also, business authorities should be strict with their employees for company cloud protection in a way that they are in the habit of doing their work securely all the time. CloudCodes provides one of the easiest solutions to achieve endpoint protection in premises. It renders all the practices that are recommended in this post, except the last one because of that entirely the role of business officials. The vendor will benefit users with automated security measures, reducing the too much involvement of end users in online data protection.